Real Madrid does not give up and demands the most from those who dare to challenge him. Lacks regular game, and at times to focus, commitment and dedication, a team that survives largely thanks to Christian, but even so, with all his faults, he will stand up to Barcelona until the last day. So Real and that winning mentality is what made him great and that allows you hold strongly to this league. Athletic thrashed after unnecessary suffering, caused by limitations in the game and even for some incomprehensible carelessness which invaded the Bernabéu for many minutes. I was all for Real Madrid and everything was one step away from waste. He played 70 minutes with a more exaggerated by the expulsion of Amorebieta, the ball was favorable to Madrid so overwhelming and wasted countless occasions, some of them very clear. Goalkeeper Gorka took out polishing his gloves and avoid further humiliation. Up to 73 minutes Gorka kept alive his team, but from that moment the storm broke that swept away everything that he found his pass. Four goals in 20 minutes to Barcelona required to maintain the tension until the last day. The meeting served as a summary of what has been the Madrid throughout the league. A set that survived the Christian genius, a player from another dimension, and a huge punch. Never did play well and not missing this time changed his speech. He was thick, was too predictable with the attacks that collapsed the center and despised gangs, but ended up rolling the opponent, like many other evenings. Told this time with the collaboration of the referee, Muñiz Fernandez, who showed the red card to Amorebieta hand to cut a shot from Higuain. This expulsion exaggerated conditioned the rest of the clash against Athletic, who finished cast without air, without hands to stop the avalanche that fell on him at the end. Scare began the match for Madrid, with a header from Toquero, and between shocks Pellegrini’s team lived until he returned the command Higuain on the scoreboard in the 73rd minute. Hence in the end everything went downhill, and Ramos, and Marcelo Benzema completed the rout that keeps Madrid with a thread of hope and ends with any choice of Athletic to reach Europe. The brazenness of the Athletic in the opening minutes only Christian replied, once again become the only threat to the rival. Toquero again threatened, which lacked the strength to come before Casillas. Ramos to thwart thwarted him once crystal clear. 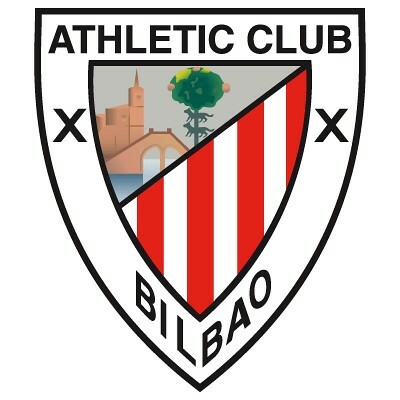 Yeste Athletic moved well, had more weight in the game in Madrid Guti and it showed. Everything changed with that removal of Amorebieta. From there the game was different. Christian converts the penalty, Athletic Bernabéu was stunned and was relieved to see below the best minutes of his team, he played and combined with more sense than usual. He began Gorka giant figure, ready to leave Madrid with the League sentenced. Higuain, Gago and Granero were his victims before the break, which was reached again with the score balanced and with all the Bernabeu with bated breath. The fault was Yeste, who left Gago, Ramos, Albiol Alonso and just like that until you beat Casillas. Pellegrini appealed to Kaka on the break and the benefits of change were noted only in the game, which remained as flat as it had been without the Brazilian. It seemed that Madrid did not play the league, it was all a matter of letting time pass to be over. But Real Madrid is always kept an ace up his sleeve, that Casillas Yeste shot from Higuain goal and that opened wide the doors of the scoring. Arrived in Argentina after both he and Benzema are back to crashing against the inspiration of Gorka, who stayed just a few steps to prevent both Higuain. Then came the goals from Sergio Ramos, after a fit of fury, Benzema and Marcelo. Goals to increase an account which rises to 101 throughout the tournament, a tournament that Real are prepared to win if Barcelona decide to lose it. This entry was posted in Club news on 09/05/2010 by mirsinho.